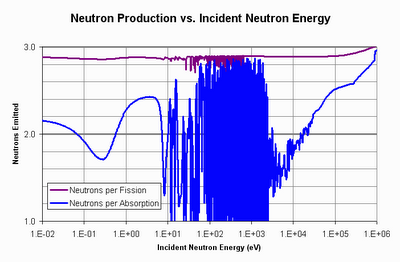 Currently most official Energy research is pursuing other approaches for future nuclear energy. Is there any documented analysis of the technical difficulties of LFTR (and/or other related possibilities) that is the basis for this decision? Has there been any attempt to use FOI to extract such information? Could you expand your answer to answer to "Are salts safe?". The WIRED article mentioned need to develop corrosion resistant components of a LFTR. How much of a problem is corrosion for piping? Practically, how small can they be? What is stopping someone from building a working LFTR? I understand politics are in the way of some things, but why hasn't Google, or some other mega company built one of these things? Kirk, you've said in the past that a working model of a liquid-fluoride thorium reactor was built in the 70's I think. Why don't we fire it back up again? So again, main question, what is stopping the building of one? For a typical installation, what would be the distinguishing exterior feature or features? Would it be recognizable as a reactor by the public? You've often mentioned liquid chloride reactors as waste-burning reactors. What's different about chloride salts and why are they better for this role? Could you please show the kilogram to megawatt production of Thorium and compare against other nuclear as well coal etc. You're not helping your cause by glossing over various critical safety issues here. Also — s/the salts will not react dangerous/the salts will not react dangerously/. One gets the sense that some very large issues with startup are not being explained fully. Questions such as "Why aren't we using thorium now?" and "Is a thorium-fueled reactor economically feasible?" need answers. Can you used very pure U233 in a trigger type nuclear weapon? Are any flammable chemicals being used or produced by the LFTR? What are the risks of a fire occurring and being controlled if one broke out? "Its inert-gas coolant does not boil in the event of a loss of pressure"
Wait — which coolant are you speaking of? "This heat is transferred to a coolant salt outside of the reactor. The coolant salt is then used to heat gas that turns a turbine…"
The primary (1st stage) heat transfer is said to be a "coolant salt", presumably a liquid. This is the substance that must circulate through the reactor vessel. I'm no engineer, but that sounds rather more like a liquid than a gas. Were it a gas at low pressure it would have a rather low capacity to transport heat, less than 1/1000th that of an equal volume flow of liquid. I think you mean that the secondary heat-transfer fluid is a gas…. big deal, that's outside the reactor loop and is independent of whatever reactor type one is operating. The current plans to deal with "waste" surround a glowing core of stupidity and it appears that there's a great deal of value in the thorium cycle concept, but the sloppily presented details abo are filing down my confidence in the information presented here. I understand some of your concerns. I believe that it is not from a lack of ability to answer but from a lack of time and attention. Kirk runs this by himself as well as working a full time job. The point about not reacting to water is focused on not reacting chemically, as happened in Bhopal India. By using a secondary loop of molten salts and a inert gas like nitrogen the reactor can be designed to be passively safe through basic physics rather than multiple "safety systems." The answers to these questions about why no one is using a LFTR right now have been answered in the Google tech talks linked on the main page. Another part of the answer is the Betamax vs VHS syndrome. Once a particular application of a technology becomes dominant it is risky to work with the "untested" kind even if it is better. Another part of the answer is that it takes soooo looongg to burn up the fuel and do the testing. Nuclear fuel takes years to burn – which is a good thing, but it also means that testing cycles are inherently long as well. You need an investor that is here for the long haul to make a difference. A final part of the "why not now?" is that the Nuclear Regulatory Commission (NRC) has regulations that are focused on light water reactors. Even a Boiling water reactor had difficulty being licensed because the regulators had a list of questions that "needed answers" and did not understand that some of those questions simply did not apply to the BWRs. Investors in nuclear are aware of these limits in the NRC and are hesitant to invest in a technology that might not be licensed due to its substantial difference from the current LWR technology. Very interesting article in American Scientist. Obviously the VHS-Beta Max problem is theoretically the cause for this reluctance at DOE, but that would not hold in India. It is my understanding that India has significant reserves of thorium and has been interested in this type of reactor for some time. Why has India not successfully fielded a LFTR yet? (3)could the nations existing fleet of nuclear power plants be converted over to Radkowsky Thorium cycle using MOX? (4)and is it safe to retrieve spent fuel assembles and place them back into the radkowsky cycle reactor? (5)Then floridize the spent fuel for a molten salt reactor cycle? How large can a lftr be made? Would a huge lftr say 4GWe dramatically lower the cost per kwh? What is the expected lifetime of a LFTR? How much preparation would conventional fuel rods have to undergo in order to "burn" the fissionable components? From your FAQ it seems like no nuclear waste is produced from the LFTR. But, as energy is not created nor destroyed, I suppose it must be continuously refueled (with thorium as far as I understand). And, if something goes in, something else must come out. So, what is the waste that "comes out" from a LFTR? What safety/storage problems does it pose? Looks like Kirk and Co. may be a bit busy to respond to all these questions so I'll take a shot at a few. @ Michele: All nuclear fission produces fission products, period. However, these decay at extraordinary rates, on the order of 50% in a week and 83% in a year. They're all virtually harmless within a couple hundred years. If you have a system such as the LFTR where multiple neutron reactions must occur to create long lived actnides (Pu, Am, etc.) you have a VERY small inventory of such problem atoms. This eliminates the concern of 10K+ year storage areas. Storing rapidly decaying fission products for two to three centuries is an easily accomplished engineering feat. We have buildings around the world to prove this point. @ Paul: A huge LFTR is not so much of an issue with the reactor as with the utility. Such a power output is massive overkill for all but the largest of cities and would represent a huge financial risk for a new technology. Could it be built, sure. The point is that this reactor design is so flexible that greater gains will probably be realized by manufacturing them within an assembly line and allowing for learning curves to take effect. As for lifetime, many specs call for 30 year refurbishments, somewhat akin to getting a full workup on your car at 100K miles, but afterwords you can expect another solid 30 years out of the LFTR… rinse and repeat. The important point is that since a huge reactor pressure vessel isn't needed (the primary concern in current reactor lifetime specs) for the LFTR, there's no reason to decommission an UNPRESSURIZED liquid reactor such as this, just keep it well maintained. Ok, mass frustration rules the day. I attempted to post a four paragraph reply today to several questions and lost it. I forgot to save a backup to Word before I submitted so let this be a lesson to all. BACKUP before submitting! Ok, got that off my chest. I'm going to answer a couple different questions for my own sanity, I'll get back to the others soon enough. @Jason: No there are no flammable chemicals produced or used with the any of the Molten Salt Reactors (MSR). The flouride salts are relatively inert and do NOT energetically react with water or air. No burst of radioactive steam is going to occur if a main pipe was to break either. The salt would ooze (low pressure) onto the containment floor and channel down to the drain tanks to cool and solidify. This stuff isn't like sodium, it would be a pretty boring show if a core breach occurred. ORNL ran tests back in the day to prove this. Pure U233 in a weapon? Sure, it's fissile so it can do the job. However, no such weapon in sixty plus years of a nuclear armed world… what gives? The fact is, U233 has to be manufactured from Thorium (it's all manmade in a sense) and this manufacturing process always introduces contamination in the form of U232. U232 renders a weapons program a bust. Its decay chain contains hard gamma emitters that destroy/disable electronics and create serious heat handling issues. Not to mention the danger to those having to deal with these weapons- they'd become more and more dangerous as storage times increased for decades; not good from a weapons production point of view. This is most desirable however from a proliferation resistance point of view. Thus, no U233 bombs despite the abundance of Thorium. Instead North Korea and others are much more content to modify research reactors to cobble together some Pu239, which has none of these problems. So the energy content of 1 mole of U233 (233 grams) is 200 * Y * A = 19.2 TJ (10^12 Joules)of energy. Now 1 Kg of U233 fully fissioned gives us 1000/233* 19.2 TJ= 82.4 TJ of thermal energy. Now convert this to Megawatt Hours (3600 seconds in an hour since a watt is 1 Joule per second) at 3.6×10^9 Joules. Thus 82.4×10^12 / 3.6×10^9 = 22,888 MWh(t) per Kg! With a conversion rate of ~50% for high temperature LFTR operations, you get ~ 11,444 MWh(e) p/Kg. If you continue these calcs for a GwYr then you end up with less than 1 Metric tonne p/GWy of electrical power production! Since a tonne of thorium fits into a milk crate with room to spare, you begin to grasp the meaning of power density. As for coal, assume 3 KwH(e) /kg… to get to 11,444 MwH(e) you need (remembering to convert from Kwh to MwH) 11,444,000/3 = 3,814,600 kg of the best coal (bitminous)! Conversion rate of 1 to 3.8 million for U233 to coal. Mind blowing really. I'm not sure an MSR would work well sans atmosphere – very low external coolant mass, and all – but something like a nuclear lightbulb might work. Basically, it's a double-walled sphere. The inner wall is fused quartz filled with a critical mass of gaseous UF6, and cooled by expanding hydrogen. The outer shell is UV reflective and filled with hydrogen gas (UV absorbtive). Essentially, the hydrogen gas is passed through the cooling loops in the quartz, into the outer shell, through a turbine / compressor, and the the outer wall to radiate heat. Because of the high temperatures (the core will operate at about 12,000 C, the coolant around 1000C), the main cooling mode will be radiative. Not sure it's more suitable than LFTR, though; the nuclear lightbulb was originally meant to be a propulsion design: heat the hydrogen via UV and push it through a nozzle. People do not worry about the danger of molten iron in a steel mill. People and all other live things have always had internal radioactivity in them since life began. The worries about radioactivity and nuclear waste in the world are far too excessive and have become a false secular religion. Every type of power plant puts radioactive elements in the air and on the ground including many geothermal and hydroelectric power plants. Natural gas fired and coal fired power plants release far more radioactivity into the air and onto the ground than nuclear power plants do. Chernobyl proved, not that reactors are super dangerous, but that they are less dangerous and deadly than chemical plant explosions. At this point only 51 people can be possible said to have died because of the explosions at Chernobyl, the worst possible nuclear power reactor event, and many of those were caused, not by the explosion, but by authorities not taking proper precautions after the explosion. All soil and rock on the earth has built in radioactive elements, and there are many places where people have lived in highly elevated radiation areas for thousands of years, even excluding those that live at high altitudes. There is no reason to treat radioactive elements and differently because they were once in a nuclear reactor, which actually eliminates many tons of radioactive elements and has not produced a net ton of radioactive elements. Fusion reactors, if built, can produce net amounts of radioactive elements far better and cheaper from even non radioactive elements. They could produce unlimited amounts of fissionable plutonium from uranium because hydrogen is, relatively, unlimited in the universe. Since the human race is not proposing to take up all the radioactive elements in all rocks and soil on the earth an put them in a "safe" place that is protected for millions of years. There is no reason to do the same for any radioactive element from reactors, especially not the ones that are unchanged by the reactor. Even the ones that are changed by the reactor do not represent an important danger more significant than the potassium in all life, including humans, if the possible level of exposure is less or only a few times more. People go up in airplanes or live in Denver Colorado where radioactivity from space is much more. Live cells and multicellular organisms have survived and repaired damage from internal radioactivity for billions of years, but have also repaired the far more dangerous and prevalent damage from oxygen and other chemicals and elements such as copper and silver and iron. There is an absolutely false belief that people can be perfectly safe. Another such false belief is that radioactivity is too dangerous to tolerate in any amount, whilst not knowing or forgetting that it is built into life and the earth and space and cannot be avoided. Almost all the monies spent to protect people from radioactive wastes would extend millions of times more lives by being used to build safer water pipe systems or doing more immunizations against disease. The worries about nuclear reactors and the efforts to stop them because of the pretext of the excessive danger of radioactive wastes had killed more people by exposing them to the fumes of fires of other sources of energy and put them in danger of lack of heat and food. Ethanol fuel production from food crops would not be needed if coal were made into gasoline at less cost and effort, and power was produced by nuclear reactors. It is known how to make reactors that cannot have any chance of a run away reaction under any circumstances. Carlo Rubbia invented one and others have been invented. Even Chernobyl type reactors could be modified so. ..HG.. There are several LFTR programs underway at present. Of note, a Japanese consortium have started work on a small scale LFTR with a view to building a larger scale version when they have analysed the data. India has plans for a number of LFTRs because of the NPT. Their view is sod the uranium brigade, they're going with thorium. An abundance of supply helps too! There is also a program in the CIS. I don't know how far along that one is. Can't help noticing how solid core nuclear fission reactors were used for naval propulsion before for civilian electricity generation. About LFTR, can you make the small one first? I understand the purpose of this web site is to push the Liquid Salt version of thorium reactors, but to get the public thinking about thorium as a fuel, why not pressure goverments running CANDUs to use thorium and get some good press out there? 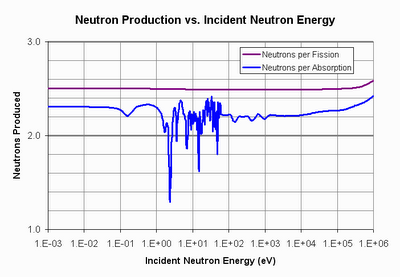 Combining the safety of a CANU with the half-life of thorium seems like a perfect fit – unless I am missing something obvious here. What about building some small research LFTRs for schools ala the Candian SLOWPOKE and getting the next generation of nuclear scientists comfortable with the process?